It’s been a busy week here in Argentina. 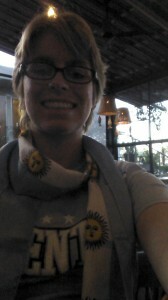 On Saturday we watched Germany play Argentina in the finals of the World Cup. 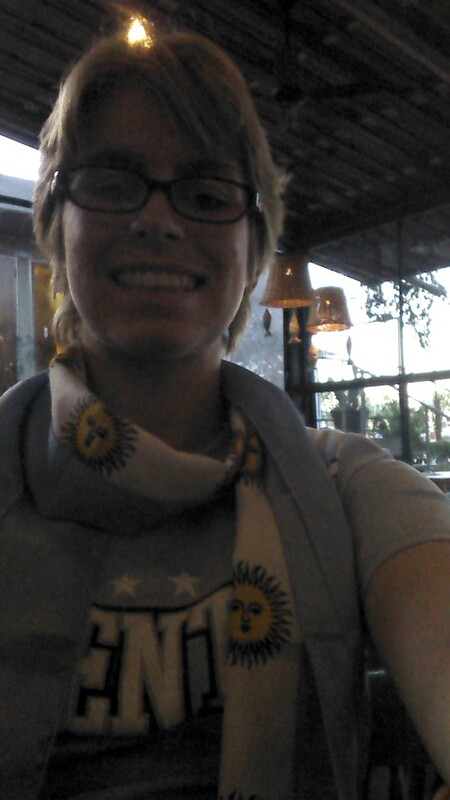 I was really hoping that Argentina would win, but sadly that didn’t happen. 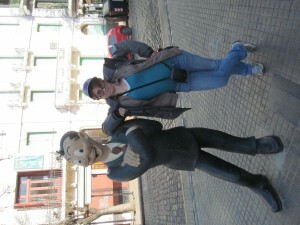 And this weekend the whole group went off to Buenos Aires. It was a long trip, I got to wake up at 5 to leave the house. Not much fun there. The hotel we stayed at was pretty lousy also, it was small and cramped and the bathroom didn’t work. None of us were to pleased about that. 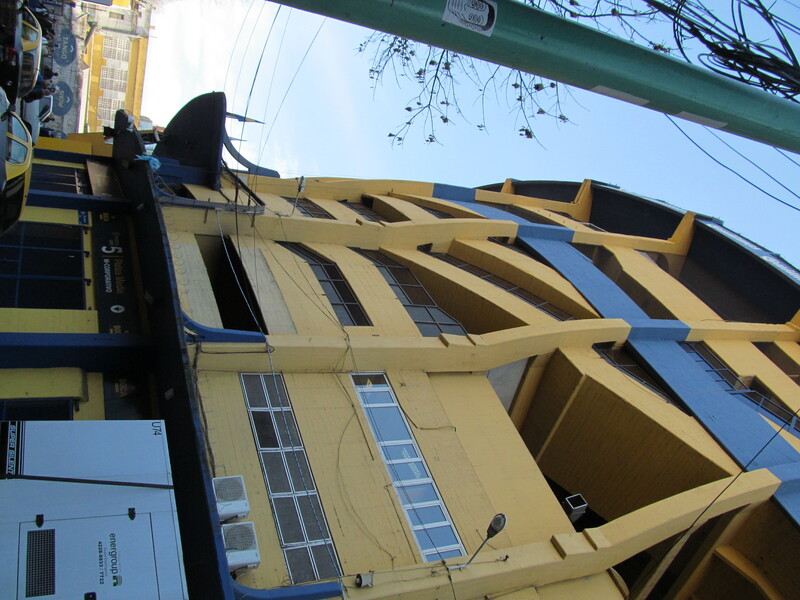 We were excited though to go to La Bombonera, which is where Boca Juniors plays. Boca Juniors is one of Argentina’s top two soccer teams housed in Buenos Aires. Even though sports are pretty boring to me, I found it interesting to look around and see it. Afterwards we had lunch in the Boca Barrio, where Boca Juniors is originally from. It was a lot of fun, and I got asked a strange question. This man walked up to me and asked if I was from Sacramento because he recognized the symbol on my hat. My hat has a Decepticon symbol so me and the two students I was with were really confused. It wasn’t until later we realized he thought it was a Sacramento Kings hat. 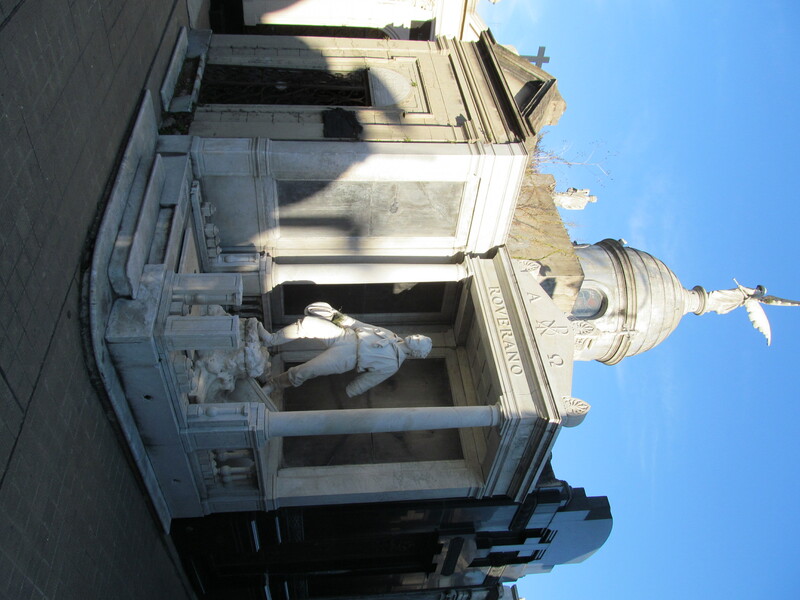 After visiting Boca, we all went to the National Cemetery in Buenos Aires. It is huge. You need a map to find anything in this place, including the exit. It is about two city blocks of mausoleums, there are street signs to help you orient yourself when walking around. One of the graves in the National Cemetery in Buenos Aires. 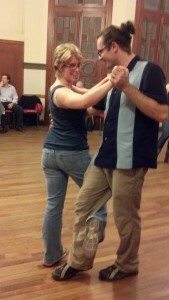 After that trip we went to a tango show. This was a full three course dinner that was very well made. Following that was a two hour tango performance with dancing, singing, and instrumental scores. 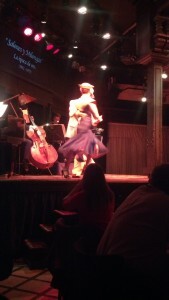 It was a beautiful representation of the history of tango and I wish I had managed to get more pictures of it. Dinner and a tango show. This morning was not pleasant. I shared my hotel room with two other girls from the program, and one went out to party last night. She came back at 4 am drunk, which was not the problem. The problem came after that. She took my house keys for my host house and gave them to the consigner because for some reason it made sense. So I woke up this morning and panicked because a) my host mother is out tonight so I needed those keys because no one was there to let me in and b) if I lose them, every key in the building needs to be changed. Luckily I got my keys in the morning, but the panic at 8:40 in the morning was not a good way to start the day. After that excitement we took a tour of the city. 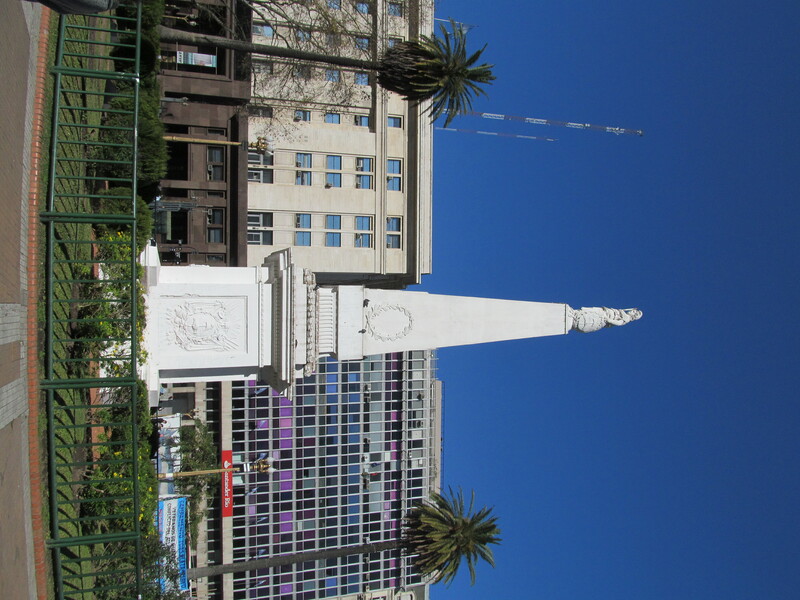 Below I have one of my pictures of Plaza de Mayo which is the most important plaza in Buenos Aires. On one side is the presidents building, and on the other is the national cathedral which was incredible to see. This is also the plaza famous for the protests during the Dictatorship when the Madres de Mayo were searching for their lost children. Plaza de Mayo in Buenos Aires, surrounded by many important buildings and where the Madres de Mayo demonstrated. 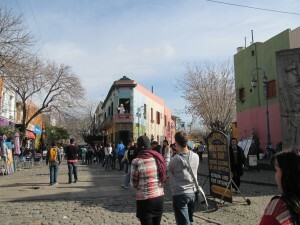 After that we were taken to a tourist side street where we got lunch and explored. That’s where the picture with the plastic guy came form. Apparently he’d a character in a comic strip here, but I’ve never heard of him before. 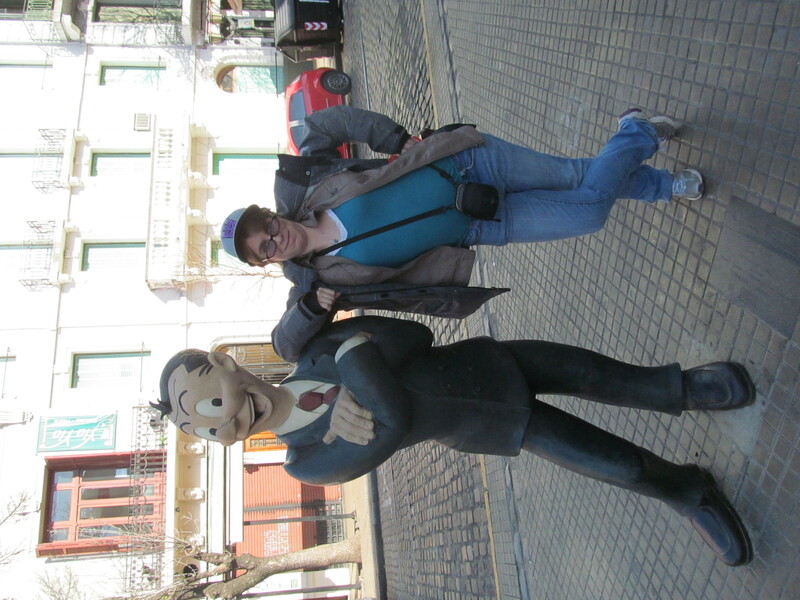 Me with a comic strip character. 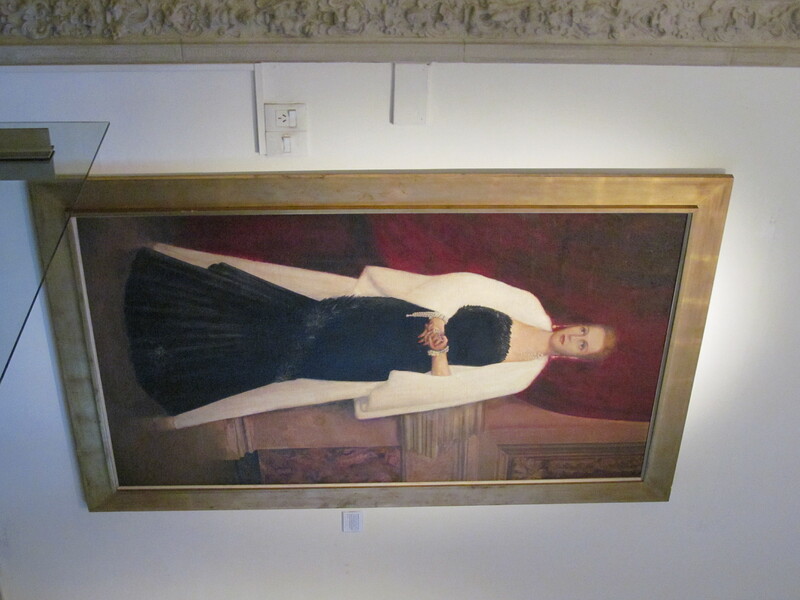 The day finished with a tour of the Evita Peron museum. It was a beautiful building with interesting exhibits. But what really caught my attention is the fact that Evita is like a saint here. It’s one thing to hear about it, but another to encounter. All in all, a very good trip and I’ll be sleeping in tomorrow for the first time in three weeks! This entry was posted in Argentina and tagged In Country, Jennifer Hight by Jennifer Hight. Bookmark the permalink.